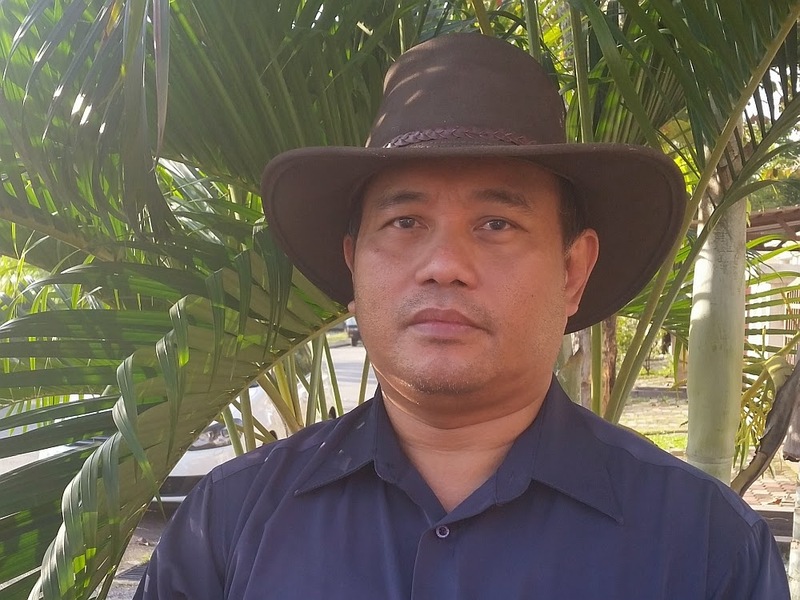 It is important in Aquaponics to keep energy usage at it lowest. This is one reason why I switches OFF pump at night. 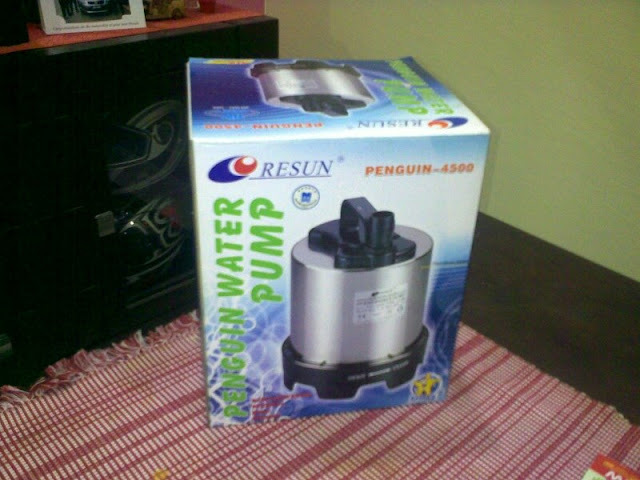 My Resun Penguin Pump is old and it's not as efficient as later design. Bought in 2009 can't remember how much I paid for it but was a good pump at the time. It's a 110 watt at 4500 Liter/hour rating. You can hear it operating, not that loud but it can be significant at times. This Pump uses permanent magnet rotor making it works like a synchronous motor. 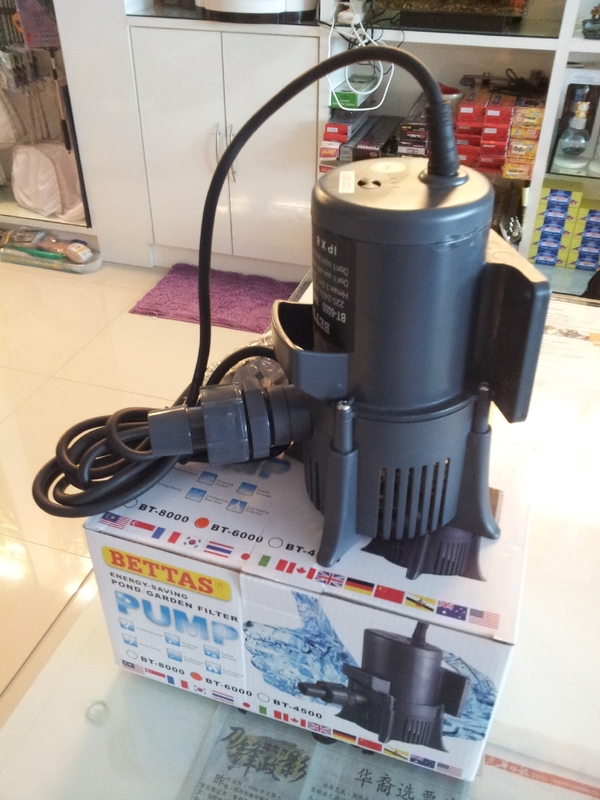 Today I got myself a better pump, its Bettas BT 6000 power rating 75 watt and at 6000 liter/hour. The power rating is about 40% less with increase of output by 30% as compared to the Resun Penguin and it's much smaller in size. Resun is rated at 4.0 meter and this Bettas at 3.5 meter max head. Not that important to me because I only need to transport the most to 1 meter height. Olde Resun out and in goes the Bettas BT 6000, above Resun done its job well just that it is inefficient. Need to be replaced by a more efficient pump. 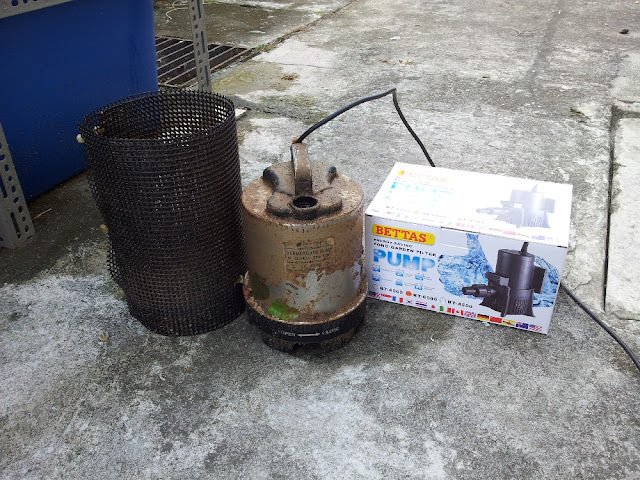 In the fish tank silent in its operation and rotor of this pump is not made of permanent magnet, more of an alloy or stainless steel, so it is an induction motor kind of principle hence more power to the rating. I removed the strainer and put a 20 mm PVC fittings with an elbow 20 mm ~ 25 mm forming the inlet facing downward just so that it is able to pump at very low water level. Bypass installed since there are more water that needed for growbeds. 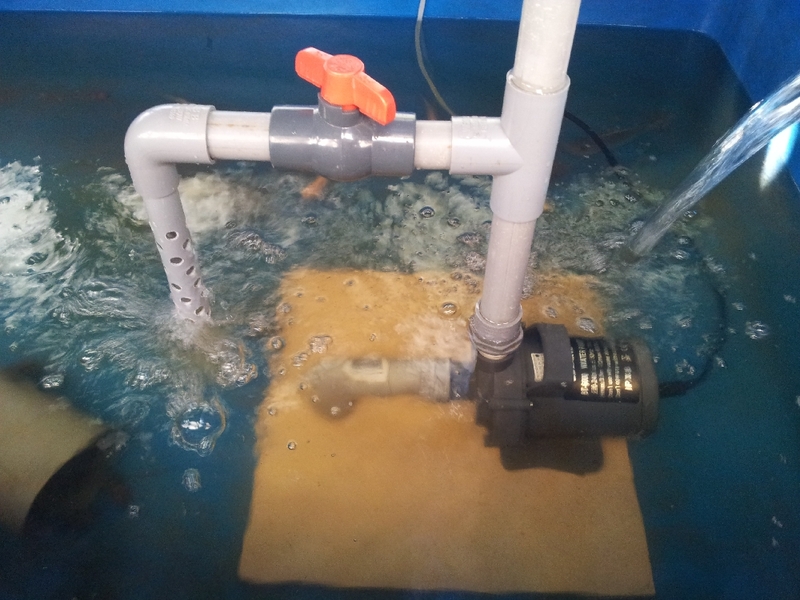 This pump can be installed outside fish tank but need a feed from bottom of tank, it will not self prime. This will make this pump able to run on very low water level as long as the inlet is not letting air in. Hi En. Affnan , how much you pay for the pump?